A Collider 2D component is used to define the physical shape of an object in the scene and can participate in 2D collisions and trigger events. and to interact with the relevant physics engine. Unity has 2 physics engines. One for 3D and one for 2D. These two physics engines do not interact with each other. please see the information linked below. a collider 2D component must be used. There are 4 collider 2D components to choose from. and the edge collider 2D. optimised for a particular shape. The box collider 2D works well with rectangular objects. And the edge collider 2D works well for surfaces. The edge collider and polygon colliders are very similar. must be a closed shape covering an area. defining an edge of one or more segments. the visual aspect of the surface. the shape of that particular 2D collider. to behave as a trigger collider. 2D colliders from passing through each other. trigger messages rather than 2D collision messages. initiate new actions in the scene. and this can be none. the friction of the collider's surface. and select a Collider 2D Component. 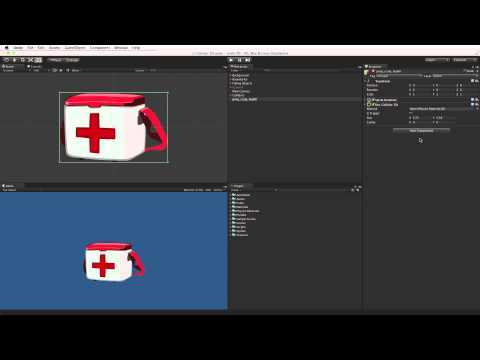 Unity will try to size the collider 2D to the sprite. or changing the collider 2D itself in the scene view. hold down the shift key. gizmo in the scene view. rather than resizing the collider. a new vertex can be created by clicking. and the edge highlighting in green. vertex to the be deleted when clicked. and the edge highlighting in red. 2D to use a collider 2D. involved must have a rigidbody 2D attached. that need to interact with 2D physics. that need to interact in the scene.